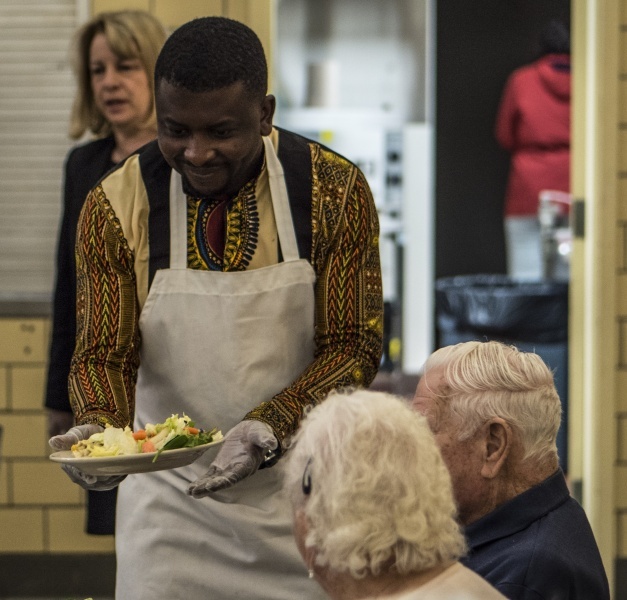 Wayside's volunteers come from diverse backgrounds and work across all aspects of our programming. Volunteers are at the core of our programs, providing the time, energy, hard work, and compassion that makes our work possible. In 2017, 834 volunteers contributed 14,589 hours of volunteer service to Wayside Food Programs. From cooking, to setting up community meals, to working in our warehouse and making pick ups and deliveries, there is much to be done at Wayside, and we couldn't do it without our volunteers. We are very fortunate to have a vast network of volunteers - over 800 people volunteered with Wayside in 2017 alone! As a result of this incredible support, our current volunteer needs are relatively limited. If you are interested in receiving notice about upcoming volunteer opportunities, please sign up for our mailing list and follow us on Facebook. As volunteer needs arise, we will let you know! Wayside has some openings for court mandated volunteers. If you are looking to fulfill court ordered community service hours, please call our office at 775-4939. Please note, volunteer shifts for community service hours are only available during regular weekday buisness hours. Interested in setting up a volunteer opportunity for your company? Please email Carly at cmilkowski@waysidemaine.org. Please note that our volunteer opportunities are best for smaller groups (3-6 people).